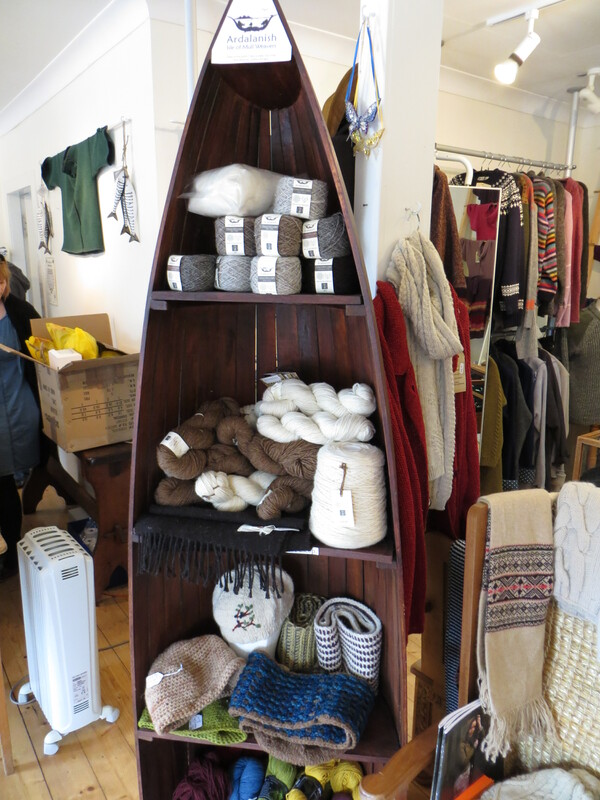 What fun I had finding yarn in the United Kingdom. I found most of it on my time on the Island of Iona. Two of the skeins I found in a little shop down in the village, one from England and one from Wales. The third yarn I got was raised right there on Iona. 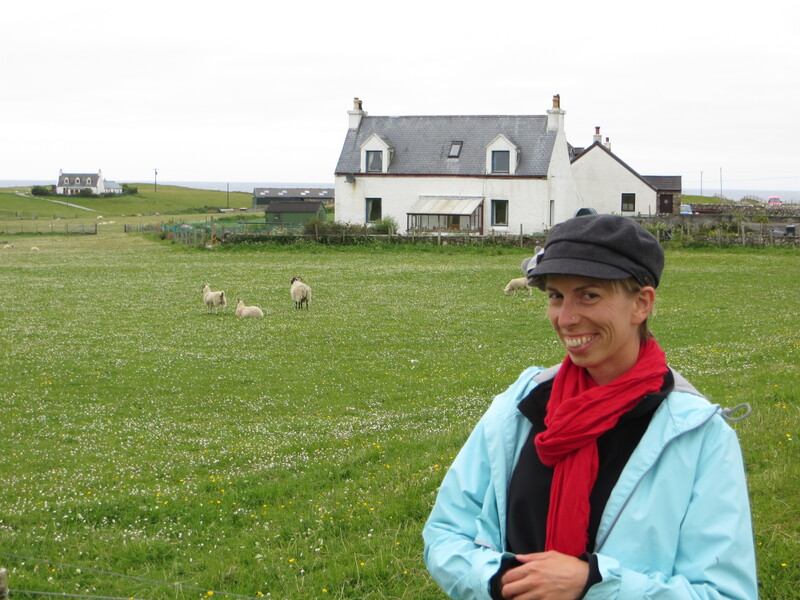 I even got to meet the sheep and the woman who raises the sheep and sells the yarn. It was spun at a manufacture across the isle, but besides that short trip, born, harvested and sold on the island of Iona. My final UK yarn came to me on our very last evening in the country. We were in Sheffield England with a group of incredibly kind and hospitable church groups. One of the women saw me working on the project during our workshop with John Bell and asked me about it afterwards. I told her about how I was gathering yarn along my way. Later that evening she came back with some red and blue yarn from a project she’d been working on. Red and blue for the UK colors of course. I was touched and wove it right in. Thanks to the people and sheep of the United Kingdom for adding their threads to my journey. What a beautiful way to remember your travels, and those who you met and befriended along the way! It’s been a fun way to engage the adventures! How are your knitting projects going?